We care about people and believe in making the world a safer place. Our safety specialists share this passion, and will work with you to create a custom tailored plan that will increase the safety of all your vehicles. We believe that everyone should be treated as if they are a celebrity client, no matter who they are. Our customer service has been hailed “second-to-none” with dedicated account managers who guide you through the entire process. Finding the right safety solution should be a stress free experience. At Abrams MFG everyone receives personal attention – we provide guidance and answer questions long after purchase. We don’t believe in transactions, but rather in long lasting partnerships that change lives, one vehicle at a time. So confident are we in our award-winning products, that we offer a 30 day money back guarantee on every order, every time. Install our system, try it for 30 days and send it back. We bet you won’t, but you can. We’ve been working in the emergency lights and sirensindustry for over a decade. We understand how important it is for you to get on the road quickly and safely. All orders placed by 2pm EST are guaranteed to be shipped out the same day. Finding the right safety solution should be a stress free experience. At Rear View Safety everyone receives personal attention – we provide guidance and answer questions long after purchase. We don’t believe in transactions, but rather in long lasting partnerships that change lives, one vehicle at a time. At Abrams MFG, safety is our business. We make products that take care of people, so they can take care of business. That’s why we stand behind them without exception. From installation to operation, Abrams products are engineered to perform. That means they’re easy to understand, straightforward to operate, simple to maintain. 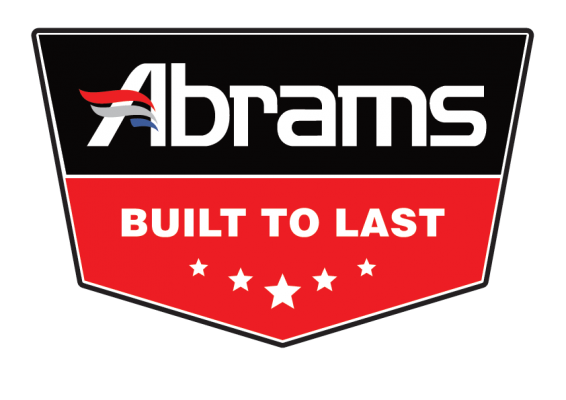 Abrams MFG delivers confidence in every aspect – from build quality that inspires trust to building a reputation of professional service and a warranty that’s second to none. We believe that everyone should be treated as if they are a celebrity client, no matter who they are. Our customer service has been hailed “second-to-none” with dedicated account managers who take their time to guide you through the entire process. We are trusted by the largest National Industries. We proudly count fortune 500 companies among our clients. We have the highest industry rating. Individualized attention will guarantee the best service and satisfaction.